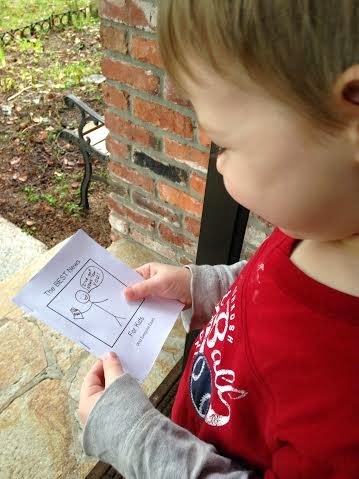 Check out this video on how to put together the gospel tract for kids! Do you teach Sunday School? AWANA? VBS? Do you help organize your church’s Easter egg hunts or “Trunk-or-Treats”? Maybe your kids have some friends who have been asking questions about what your family believes. Maybe your own kids are asking questions. There is always a reason to have good gospel literature handy for kids. Please use it and share it! I have a heart for helping other moms share gospel truths with their families and others. Please let me know if you have any questions or if you have any requests for more material. Thank you! Want a one-page handout instead of a tract? Here’s all the info from the tract (minus the pictures) ready to copy, paste, and print (might need to re-size it). 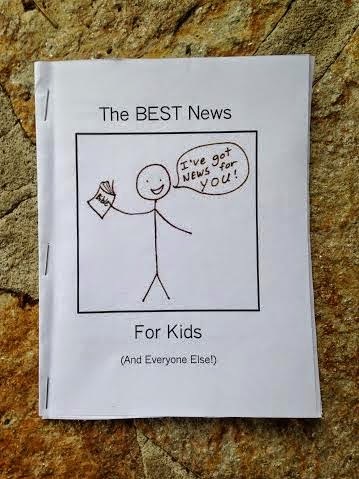 The BEST News For Kids! Have you ever tried to be good? I mean really, really good? How about trying to be perfect for a whole day? I know I have. Sometimes I think I’ve done a pretty good job. Other times I know I’ve messed up. Sometimes I mess up small. But sometimes I mess up really big. The problem is, none of us can be good enough for God’s perfect heaven. The Bible says that the tiniest bad thing – even just a bad thought! – is enough to make everyone in the whole world guilty. That’s you. That’s me! Guilty people have to be punished. The punishment for sin (our badness) is being separated from God forever when we die. In hell we would be far away from His love. That’s bad news! But God didn’t let the story end there. He wanted to make a way to get rid of that horrible punishment so people could be with Him in heaven forever. But how? Sin doesn’t go away on it’s own. Somebody has to pay for it. Who could it be? God knew there was only one choice: His own Son Jesus. Jesus came to earth and did something we could never do: He obeyed perfectly. He never messed up. He never even had a bad thought. But He still took the horrible punishment for sin by dying on the cross. God put all of His anger on Jesus. Jesus didn’t deserve that! Why did He take the punishment for something He didn’t do? He did it so that you and I don’t have to. You mean we don’t have to pay for our own sins? Now that’s GOOD NEWS! Jesus didn’t stay dead. After three days He rose again to show everyone He has the power to give eternal life. If we trust in Him, God has no more punishment for us. Instead He offers us eternal life in heaven. When Jesus takes the sin out of our hearts He puts something else in it’s place: His perfect life. God sees Jesus’ goodness in us instead of our badness. Jesus’ good days cover all of our yucky days. He takes our bad out and puts His good in. Do you still mess up sometimes? Me too. But now we can have something we didn’t have before: forgiveness! Pray and ask God to forgive your sins because of what Jesus did. Instead of being guilty you’ll be forgiven. Now that’s not just good news – that’s the BEST news! Do you know how to look up verses in your Bible? Give these a try to read more about the best news ever. “I have read SO many parenting books- and it seems they fall into one of two camps: practical advice or a theological perspective, and so often I felt like they didn’t apply to the little years. This book is my new favorite on the subject of discipline because Sara beautifully addresses both, sharing stories and examples from her own life as a mother of 5 boys.” – Ashley. 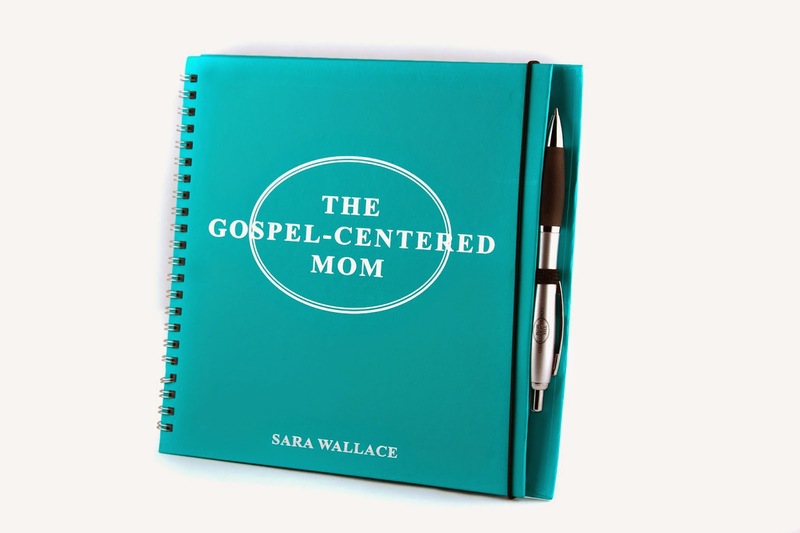 “The Gospel-Centered Mom is a huge gulp of refreshing air for moms who are in the thick of raising kids. It takes your eyes off of your performance and places them on the one who performed perfectly for us.” – Jessica Thompson, co-author of Give Them Grace. Available on Amazon and Etsy! See if a newspaper will publish a gospel tract (e.g. 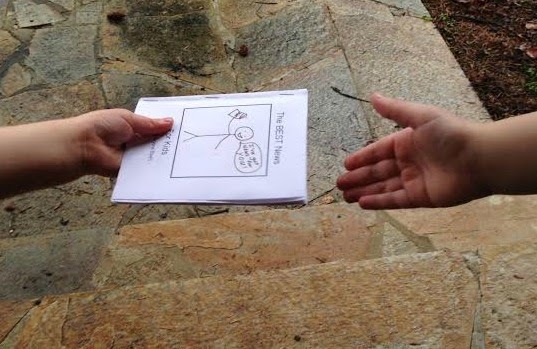 http://www.freecartoontract.com/are-you-a-good-person-english). Maybe pay for an advertisement in the newspaper – but submit a gospel tract to them instead – hopefully they'll publish it as if it were an advertisement? I just found your blog while looking for printable tracts to give out at Halloween and I really liked what you had here as an option. But I wanted to be sure your theology was in the same vein as what I believe because I have often found blogs where they have many kids and they turn out to be Mormon. So I went searching around and am so happy to see you recommending R.C. Sproul and Alistair Begg. And Getty hymns. Truly can't say how excited I am right now. I have quit reading “mommy” blogs because of what I thought was a lack of reformed ones. Thank you for this. Will check out more when I have time.